Stash your credit cards and other goods and forget about carrying a wallet. 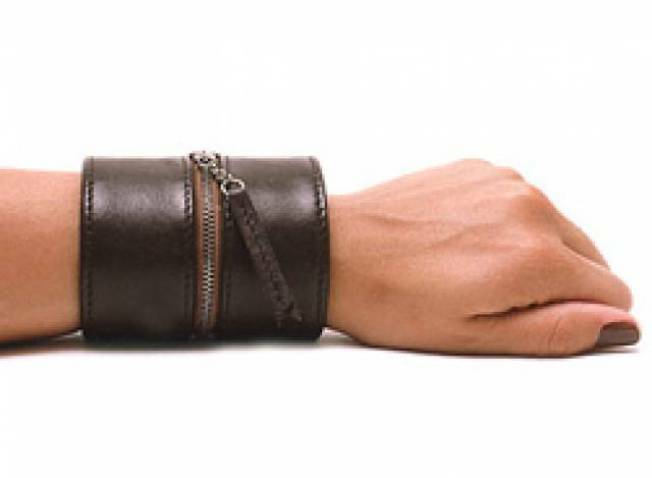 HOLDING HANDS: Curb the need for a purse or wallet and travel light with a hands-free leather cuff. Stash all your goods in the zippered pocket, slap it on your wrist and voila, you’re ready to go. $80. Available at Habit. TRAVEL LIGHT: Organization is clutch for easy traveling. The Hayden Harnett Michio Carryall in Khaki is the answer for traveling mishaps. This bag organizes cords, devices and extras in one easy carryall that you can move from purse to purse. Get it at Bess and Loie.